Glenfiddich and Hendrick’s maker William Grant & Sons is moving into Cognac production through a partnership with Jean-Sébastien Robicquet and his La Guilde du Cognac brand. Robicquet is the owner of Cognac-based Villevert, which has a portfolio of brands that includes G’Vine and Nouaison Gin, La Quintinye Vermouth Royal, June liqueur and Excellia Tequila. Robicquet also distils Cîroc vodka for Diageo. William Grant & Son has not disclosed any financial terms of the partnership or confirmed whether it involves a stake acquisition. 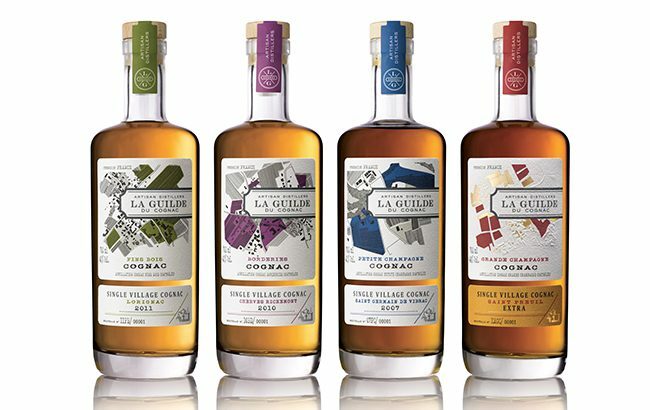 The partnership will see the firm take La Guilde du Cognac’s existing products to new markets and “over time move on to developing new products together” with Robicquet. The range will become the “world’s first extensive collection of single terroir Cognacs”, according to William Grant & Sons. La Guilde du Cognac is produced by Maison Villevert and consists of four single-terroir expressions. The range is currently available in France, Spain and Portugal through Renaissance Spirits. William Grant & Sons’ chief executive, Simon Hunt, said: “We’re delighted to welcome La Guilde du Cognac into our premium spirits portfolio. La Guilde du Cognac complements our brands and opens up an exciting new category for our business. Robicquet added: “I have been impressed by William Grant & Sons approach to carefully nurture their brands in key markets and develop aficionados for their liquids.